Officials from the Town of Cicero presented the family of a 9-year-old disabled girl with a refurbished wheelchair accessible van that was stolen from their home at 1502 58th Avenue on February 6th. Cicero police recovered the van, but it had extensive damage to the special disability options originally installed on the vehicle. The van had been originally donated to the family by the Make-a-Wish Foundation. 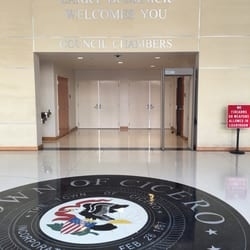 Media reports on the theft prompted several individuals to contact the Town of Cicero to offer donations to help repair or replace the van. Cicero officials said they collected about $2,000 from donors and the funds were used to have the van refurbished and repaired at a Cicero car care center, Chiquis Car Care & Collision Center, 5841 W. Ogden Ave. The van was presented at the car repair shop at 5841 W. Ogden Avenue in Cicero on Wednesday morning. Making the presentation to the family members with Town officials will be Chiquis owner Ed Gonzales. 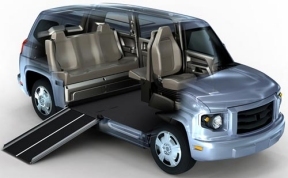 The wheelchair accessible 2000 green Dodge Grand Caravan was originally a gift from the Make-a-Wish Foundation donated to the family last year.